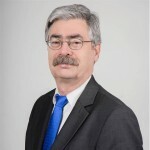 Bernd-Josef Kohl (born 1955) has been head of Business Consulting at GFT Technologies SE since 2010. His areas of responsibility include consulting, regulatory affairs, payments and cards, core banking applications and financial architecture. He also consults banks on innovation management and the development of digital business solutions in fields such as mobile payments.